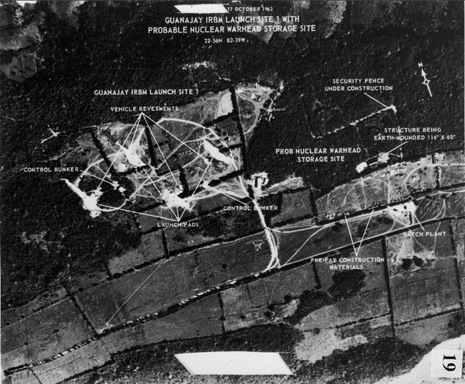 U-2 flights identify the first of three Soviet SS-5 missile sites. 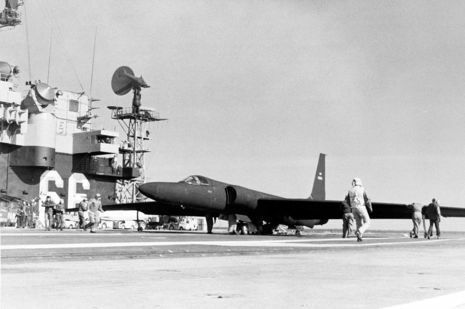 The SS-5s have ranges of up to 2,200 nautical miles. The military estimates that as many as 32 medium range missiles could be made operational in under a week. General Taylor and Thompson discussed political nature of problem including possibility of forcing settlement in Berlin and elsewhere--Khrushchev wished show down on Berlin and this gave a show down issue. Believes Khrushchev would be surprised to find we know about MRBMs. Thompson emphasized Khrushchev wants Berlin settlement but on his terms. And will probably deny knowledge of Cuban situation but at any event would justify actions because of our missiles in Italy and Turkey. Also Khrushchev recognizes that action by us would be devisive among our allies.